Cavendish Imaging respects the privacy of visitors to its website: www.cavendishimaging.com and is committed to the protection of its personal information. This privacy statement explains data collection and use practices of the Cavendish Imaging website (the “Website”). It applies solely to this website. Links to other websites are not covered by this privacy statement. Identity and contact details of the controller and where applicable, the controller’s representative. 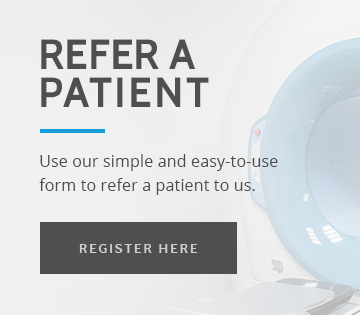 We process your personal information collected via https://www.cavendishimaging.com/ in order to facilitate your registration with our online referrer platform in line with our legal obligations to professionally validate our referral sources. Cookies and control of cookies are explained in our Cookie Control Statement. We use and process your personal information supplied on the website via the general enquiry function and the CPD course function in order to respond to your queries based on our legitimate interest to promote our services. We will not sell or share your personal data collected at this stage. Further development of your relationship with Cavendish Imaging will trigger the applicability of a different Privacy Notice (Referrer, Patient, Education, Recruitment, Marketing), as appropriate. These are available on relevant platforms and provided, as appropriate. Your personal data collected at the registration/enquiry stage is not transferred outside of the EU. Further development of your relationship with Cavendish Imaging will trigger the applicability of a different Privacy Notice (Referrer, Patient, Education, Recruitment, Marketing), as appropriate. These are available on relevant platforms and provided, as appropriate. Your personal data collected at the registration/enquiry stage is not intended for long term use and will be deleted within 24 months of collection. Further development of your relationship with Cavendish Imaging will trigger the applicability of a different Privacy Notice (Referrer, Patient, Education, Recruitment, Marketing), as appropriate. These are available on relevant platforms and provided, as appropriate. – Not transferred other than in accordance with agreed terms and conditions. Provided you are a web enquirer only and there has not been further development of your relationship with Cavendish Imaging (for example you becoming a referrer or a patient), you have the right to withdraw consent for us to process and retain your data. For further information in respect of your rights as a data subject, please see details on the Information Commissioner’s Office website https://ico.org.uk/for-the-public/. Non-applicable at this stage. Further development of your relationship with Cavendish Imaging will trigger the applicability of a different Privacy Notice (Referrer, Patient, Education, Recruitment, Marketing), as appropriate. These are available on relevant platforms and provided, as appropriate. The existence of automated decision making, including profiling and information about how decisions are made, the significance and the consequences. We do not utilise automated decision making in regards to your personal data. To exercise any of the above rights, please contact [email protected] or call our office on 0207 935 2777.